Beachside Recovery Center knows that addiction affects every family member of those who are battling the disease. Addiction treatment is highly successful when family involvement is a key component of the recovery program. When a loved one is enrolled at Beachside Recovery Center, families can rest comfortably knowing that they will receive updates each week from their loved one’s case manager. These updates can happen in person or over the phone, if the client’s family lives out of the area. We also encourage utilizing written exercises and family therapy sessions, if possible. Family involvement in each client’s recovery is dependent upon the individual’s personalized treatment plan. Throughout treatment, families are encouraged to participate in the recovery program. Beachside Recovery Center believes that one of the most crucial parts of the healing process is family involvement. Family therapy at Beachside Recovery Center focuses on creating a support network for when the client’s treatment ends. However, we also focus on supporting our clients’ family members throughout their own healing process, as they recover from the effects of their loved one’s addiction. We recommend that family members participate in Al-Anon or Nar-Anon, as these support groups are focused solely on providing resources for those whose loved one is struggling with addiction. These support services are the ideal introduction to programs that support family members. 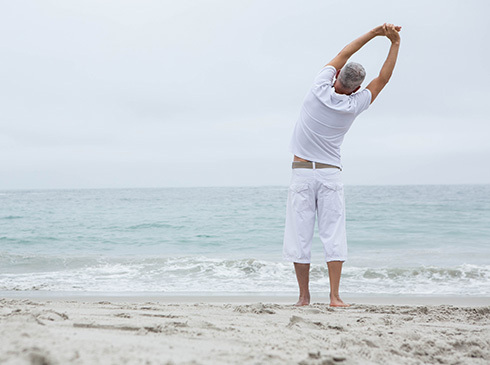 Beachside Recovery Center is a luxury treatment facility that has a clear focus on complete recovery for each of our clients. Our helpful staff will be there to support each individual throughout every step of their addiction recovery program. At the end of treatment at Beachside Recovery Center, our clients will be armed with time tested tools and services that have been designed to equip them with the ability to maintain sobriety post-treatment. emotion, motivation, and movement. When an individual decides to overstimulate their system with substance abuse, euphoric effects are produced that strongly encourage the repeated behavior of drug or alcohol use. Those who use large amounts of drugs to try and bring their dopamine functions up to normal often need to take larger amounts of the drug to create the dopamine high. 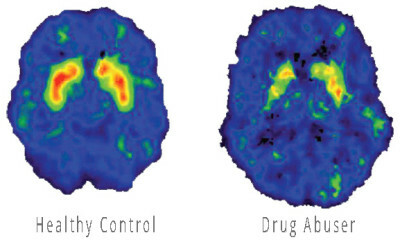 For more information on how drugs affect the brain, visit www.drugabuse.gov today. WE’RE HERE TO HELP YOU MANAGE YOUR LIFE. © 2019 Beachside Recovery. All rights reserved.